Before getting into this review, I would like to thank Creative for sending me the E3 for review. It can be found on their website and on AmazonUK for around £100 & AmazonUSA for $130. For full specs – visit Creative’s website. 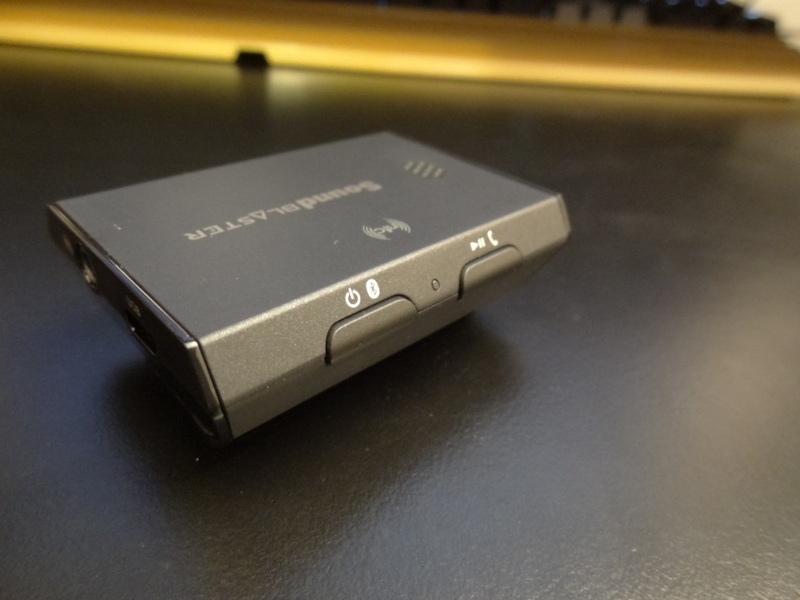 The Sound Blaster E3 sits in-between the E1 and E5 in terms of price point. I was thus curious to see how it performs for its price and more so interested to see how Creative were able to push through all their features in the small-factor size, without impacting the sound quality. What you get in the box is pretty bog standard – there’s nothing here that’s overly impressive, although I do feel it would have been nice to have a pouch to go along with the E3 for portability sake and even storing at home. Looking around it we can see a few different buttons and ports. There’s quite a lot of buttons packed into a small space. If we start from the bottom, we can see a micro USB port and a aux-in 3.5mm jack. 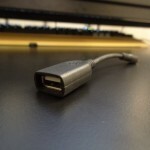 The micro USB jack serves for multiple purposes. One of them being charging, but the other two for USB DAC functionalities. 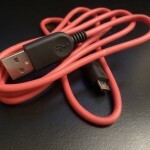 The E3 can be plugged into a PC and be used as the primary audio source via USB. Finally, it can also be used via OTG (on-the-go) with a mobile phone (such as an Android phone). At the top you’ve got two ports, both being headphone out jacks. One of which doubles up as a mic input. 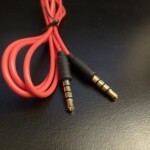 This is particularly useful for headsets that often have a line out and mic cable. On the right-hand side, you’ve got a power button, that also serves to switch on/off the Bluetooth, just below it there’s a small LED light, that indicates what the E3 is doing (Flashing blue for Bluetooth for example) and then you’ve got another button to play/pause and answer/hang-up calls. Looking over to the left-hand side, you’ve got vol up/down buttons, and previous and next buttons to control your music. Finally, to round it all off on the top of the E3, you’ve got a small grill, which is the E3’s microphone and at the back you’ve got a shirt clip, which to me was better served as a belt clip (almost acting like a pager). The build quality itself of the E3 is solid – despite it being light (for what it packs), it is very well made and good-looking device. It is good looking whilst remaining actually well thought out (in its design). Overall, there’s a lot of buttons and features this small E3 carries. It’s got a lot going for it and I really like what Creative have done to make it somewhat ergonomic to carry around. The E3 has a lot going for it, by having multiple different ways of connecting, which makes it a very impressive little device. First of all, to connect the device via wireless, you can do so via NFC and Bluetooth, which uses AptX codec to transmit the Bluetooth signal, in order to listen to music whilst not sacrificing any quality (AptX has CD quality audio). 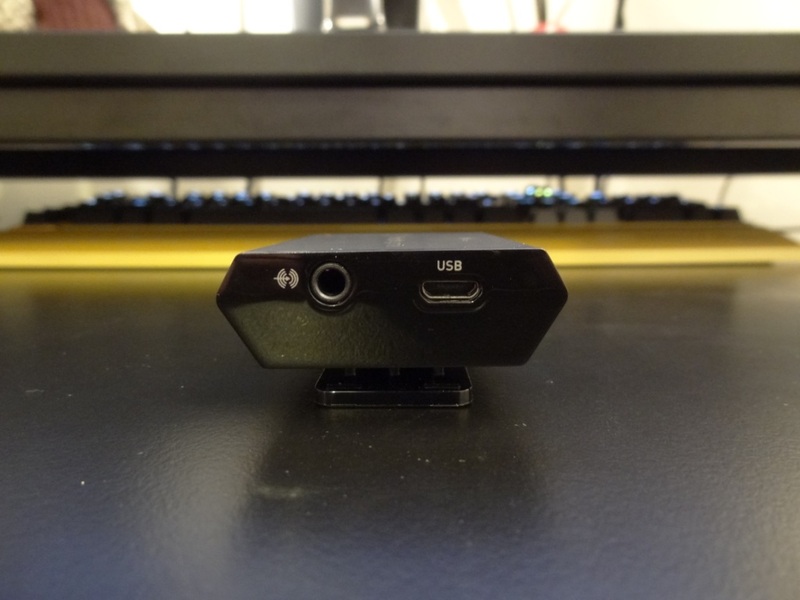 Starting with its inputs – it can be connected via an auxiliary 3.5mm source, USB OTG (to mobile) and USB DAC (to PC). This allows you to plug it in multiple different sources and utilise the amplifier. 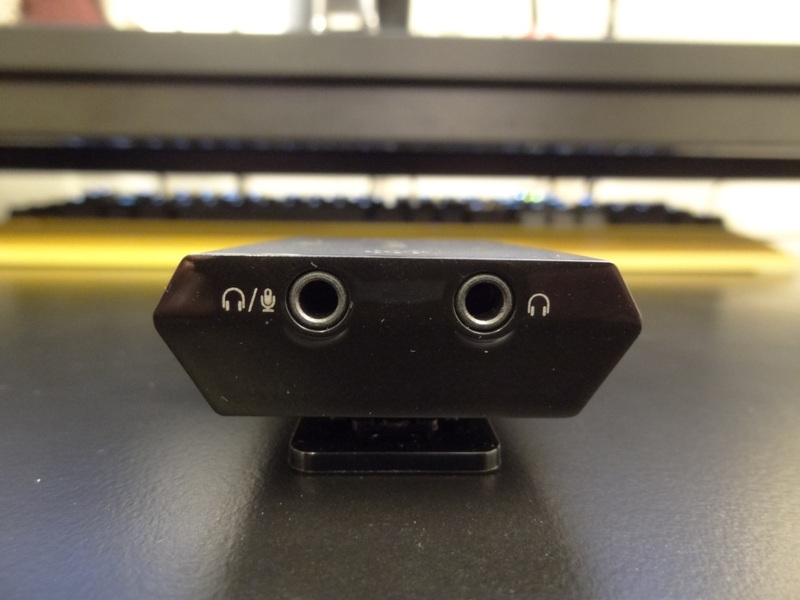 In terms of inputs, a mic can be connected to the E3 and be used as an input device. meaning you can have a headset plugged into the E3 and the E3 then being connected to your PC, where it picks up the E3’s mic-in and allows you to utilise a mic. This makes it quite versatile as gamers can use a headset with their PC and not have to worry about a mic input on their PC. This is particularly useful for someone like me who has a poor mic-in jack signal on my Asus Sabertooth Z77 motherboard, where the mic’s quality is sensationally bad and also picks up a lot of static noise. With the E3 – I can use a mic without having to worry about my motherboard’s lack of capabilities. 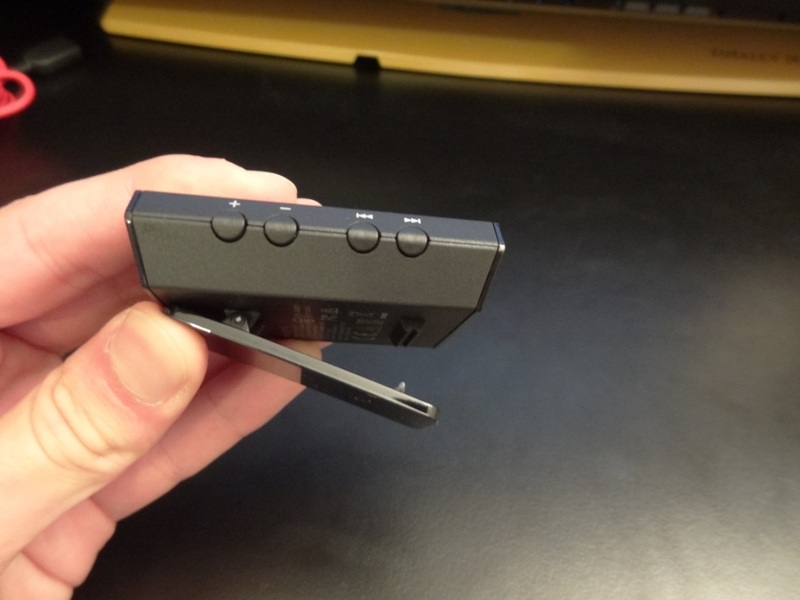 Finally, the E3 also has a physical mic on it too – meaning you can sue the E3 for voice calls or as a mic on games. This is excellent as it allows you the ability to have a microphone. Overall, the E3 is feature-rich with features and connectivity options. I really love the fact that I can use this in multiple different scenarios, and furthermore the fact that Creative have thought about every single aspect of this being a soundcard for everyone, including gamers. Ie. A gamer might want to use it as a USB DAC for their headset, but then might also be an audiophile and want to use the AptX capabilities on-the-go with their smartphone. Following on from the build quality section, I felt I should also mention its battery life. I used the E3 in Bluetooth mode 95% of the time, as I feel that’s one of its major selling points. The E3 lasted around 6-8hrs, depending on how many times I was changing song or adjusting its volume. This for me is acceptable and in-fact in-line with its quoted time of use. With that said, I would have preferred to get more juice out of it, as I therefore can’t use the E3 on a long-hall flight, without having to need to recharge it. Despite only taking 1-2hrs to fully charge, it’s still something to note. With that said, I can appreciate that the E3 is a small device and therefore I can’t expect it to last a long time – furthermore due to its functionalities and small physical size, it’s understandable. Without using it via Bluetooth, it can be used for quite a while longer. Overall, the battery life is good for its intended use. Now the sound quality is the most important part of any amplifier. I felt as a soundcard it did a decent job, although not perfect. I felt that the mids were very slightly pushed back and more so the soundstage felt a little congested, meaning that the E3 didn’t really separate various different sounds all that well. I don’t think the average consumer would realise this, without having other amps to compare, that sit in its price range. With that said, this is me being extremely analytical about the sound that’s being produced by it, as I am someone that really analyses audio to great depths and furthermore always try to work out the price to performance ratio of a device like the E3. Other than that, the highs are well pronounced and the lows are well extended. I feel that gamers, with slight audio experiences, might notice that their sound isn’t as “full sounding” with the E3 connected, where music lovers will also feel that their sound isn’t as “expansive” as before. Again, being extremely critical of it, but it’s something I noticed whilst gaming and listening to music. Finally, it’s driving ability of headphones was impressive, especially for the devices it’s aimed at (under 300ohms headphones/earphones) – as there aren’t devices that are really high in impedance and are made for portability. I should state that I feel that a HD800, at 600ohms would slightly struggle in being driven by the E3. Despite Creative stating it can power 600ohms headphones I’m very sceptical about that, as the E3 had just about enough juice to power a 300ohms headphone. I don’t feel it would be really capable of doing it at 600ohms. With that said, I don’t really expect people using £1200 headphones, or ones that are 600ohms rated with something like an E3, simply because they would want a proper full-scale amp, or not have those given headphones on the go with their smartphones. I tested the E3 quite extensively with a few different setups, and notably used it most with my modded Denon AH-D2000s and Audeo Phonak PFE232s, where the E3 was more than capable of powering them. I should also note I didn’t notice any EMI problems nor any static noise – which indicates to me that the E3 is well shielded and well built! Overall, the E3 sounded decent for its size, but it’s not something I would realistically use when using audiophile gear. I personally used it for a few weeks on the go and really enjoyed it, knowing-well that there was a very slight music separation and soundstage missing. For someone that listens to a lot of music during the day, it didn’t really both me all that much – therefore take what I say with the knowledge that I’m being very analytical about the E3. Overall the E3 was extremely impressive to me. 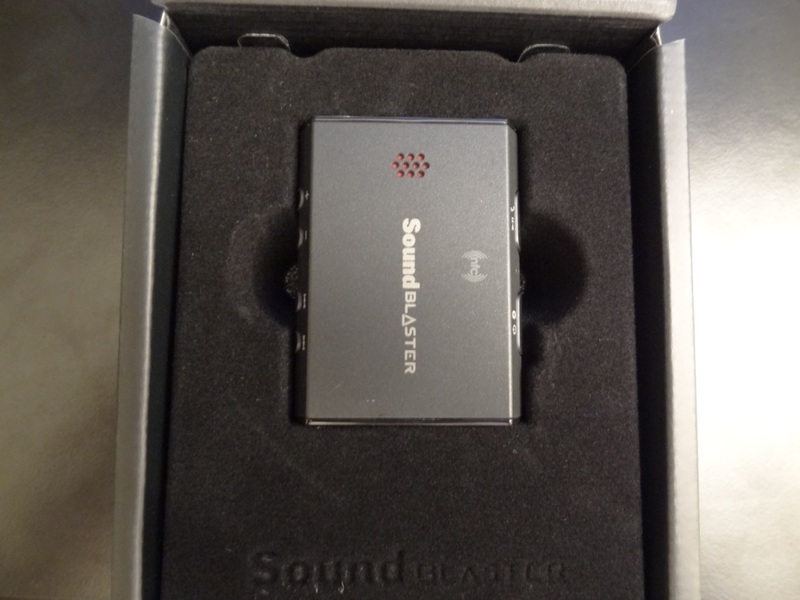 I do feel that it is a device that I would use on a daily basis, but being someone that is extremely analytical, especially about sound, feel that the E3 will mainly sit in my drawers. I really love its functionalities and that’s probably why you’re paying a reasonably high price tag of £100. If I take away its functionalities or judge it simply by its amp functionalities, then I wouldn’t want to pay anything more than £40 for it. This should give audiophiles a good idea of how much the E3 is worth sonically speaking. It’s not an amp that can be compared to audiophile gear out there, but due to its functionalities it sort of bridges the gap for gamers and people that appreciate having certain functions on-the-go. I would therefore buy the E3 if you’re looking for a versatile amp that is feature-rich with functionalities and connectivity options. I wouldn’t buy the E3 if you’re serious about sound and want an expansive soundstage from an amp, to really bring your games and music to life. 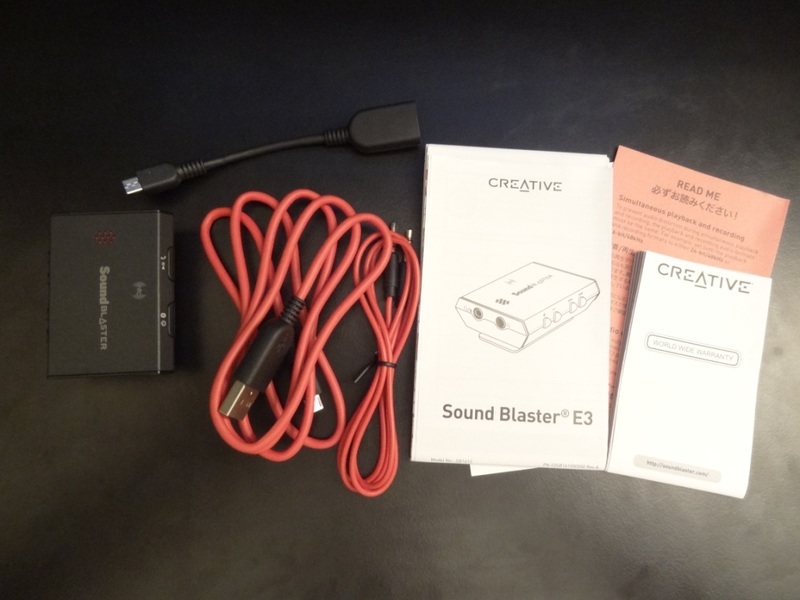 This entry was posted in Audio Reviews and tagged Amp, Amplifier, Creative, creative e3, Creative Sound Blaster E3, E3, portable, Review, Sound Blaster on December 20, 2014 by TotallydubbedHD. 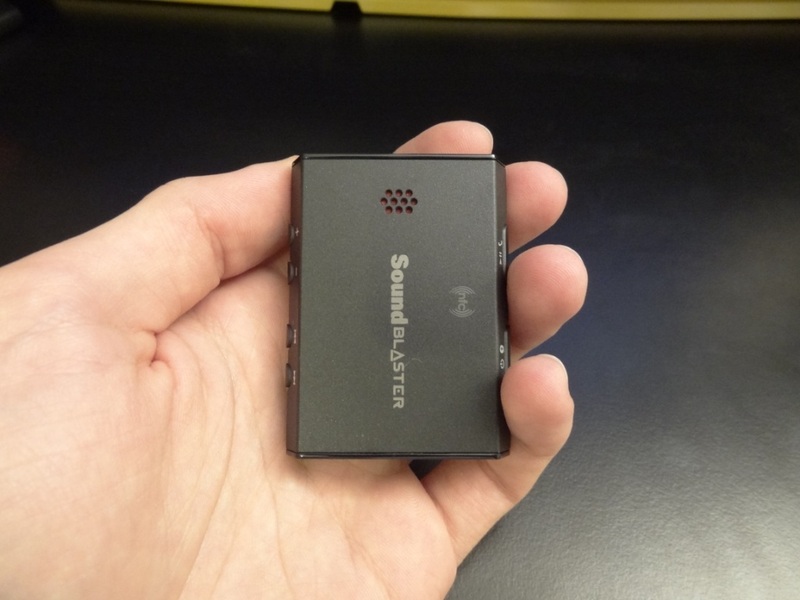 I’m not surprised that the E3 sounds just OK compared to others portable dacs in this range of price when we considerate the features and the size of this product. 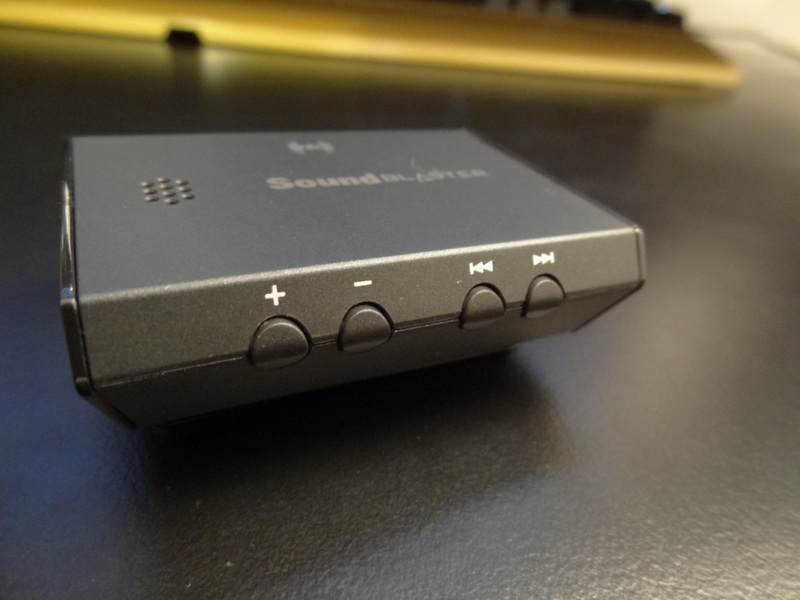 I have the sound blaster X7 which is awesome in sound quality. But with this E3 can I improve the sound quality of my HTC One m7 ? Will i hear a difference between my headphones directly plug into the phone or when i use the E3 as a n external usb dac ? I can’t really comment on the M7 as I don’t own nor have I heard its internal DAC. The difference between the E3 and your M7s internal DAC would be the driving power (ie how loud the headphones can go) and of course there might be sound differences (ie one is more transparent than the other, one has a better soundstage) – again I can’t comment on the M7 and it would be unfair for me to say one is better than the other, having not heard it. Specs also are just specs – so looking at the M7s specs I wouldn’t even be able to give you a proper informed decision – just a wild guess. My advice to you is to look around for people who might know how the M7s DAC sounds in comparison to other devices. If anything, buy the E3 and if you don’t like it return it – Amazon is great for that type of purchase.